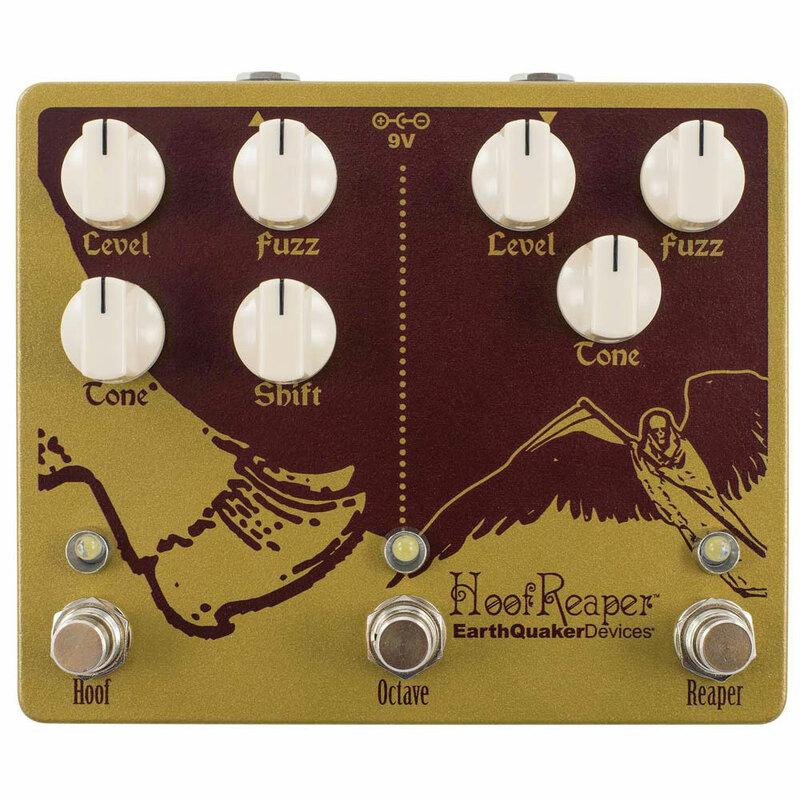 Our Hoof™ and Tone Reaper™ fuzz pedals in one enclosure with an analog octave up. 4. Shift: Controls the mid frequencies. More pronounced to the left. Scooped to the right. Our flagship device! 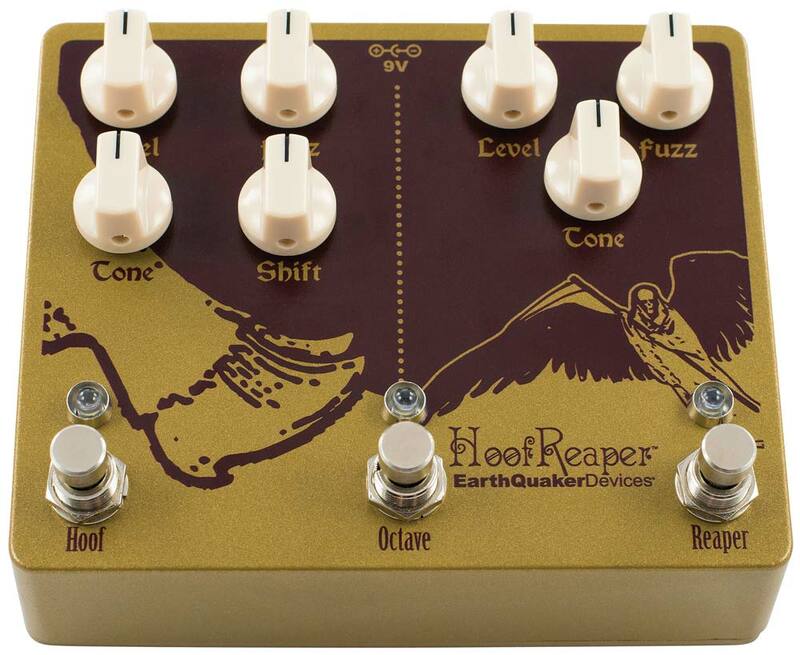 The Hoof is a no-fuss, easy-to-use device capable of sounds from warm, gritty overdrive to a huge, sustaining fuzz. It’s a germanium/silicon hybrid Muff-style fuzz (based on the old green Russian muff) with massive amounts of volume on tap and smooth amp-like sustain. It has a tighter, cleaner sound than most Muff’s which makes it more cutting and discernible in a band setting. The shift control is the key to the Hoof’s character, it alters the frequency response of the tone control. Clockwise scoops the mids and counterclockwise enhances the mids. 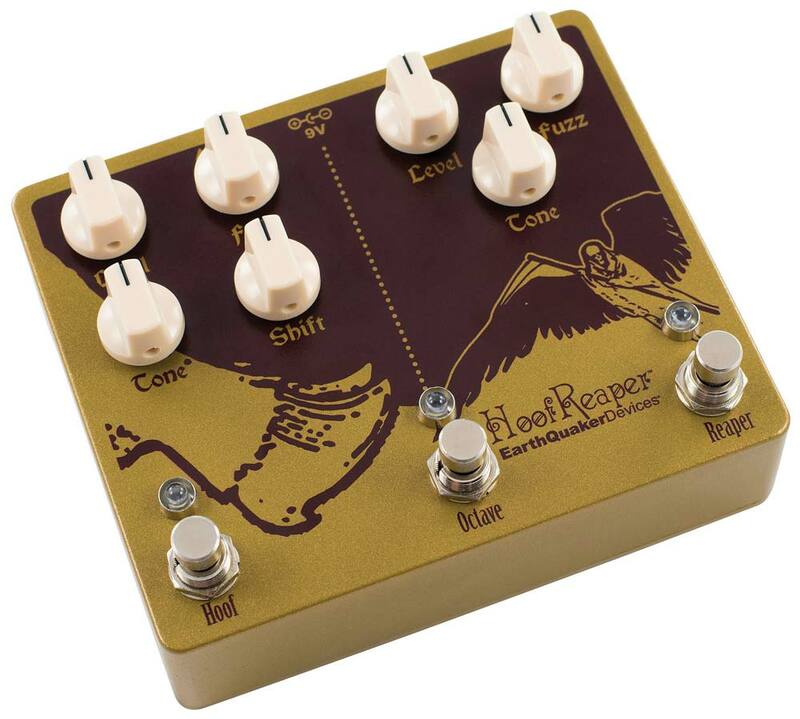 The Hoof has become the go-to fuzz for many well-known fuzz connoisseurs. 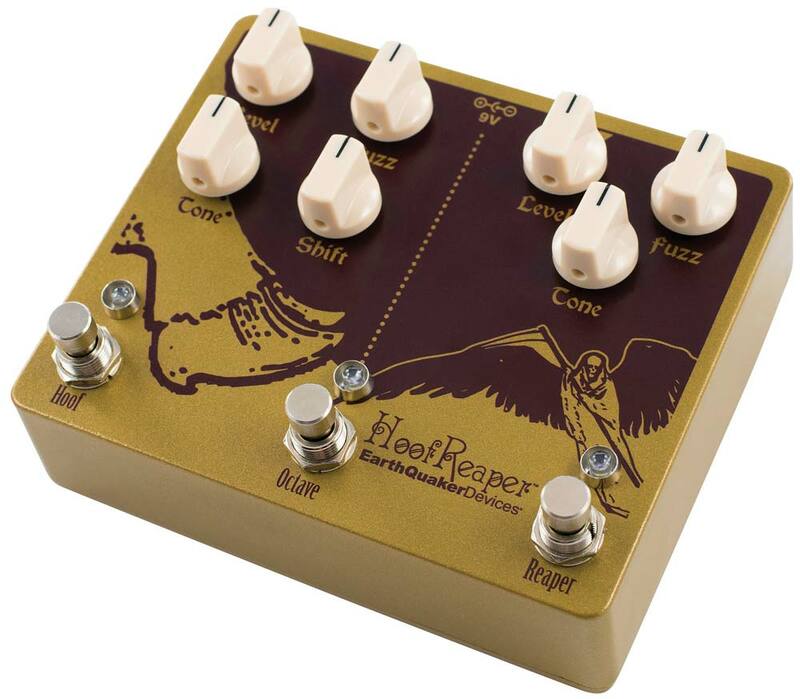 The Tone Reaper is a vintage style fuzz device based on the “3 knob” bender. It’s a silicon/germanium hybrid capable of producing a wide range of tones from every bender era with careful tweaking of the Tone and Fuzz controls. From thin and spitty, to thick, growling sustain; it’s all here. 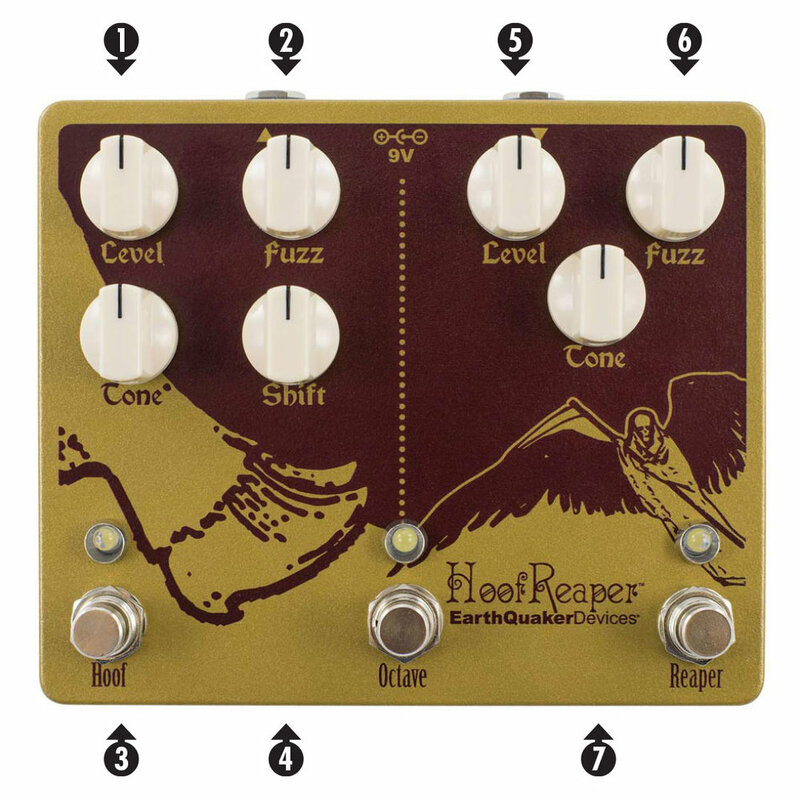 This is a classic monophonic octave up that will add a swelling octave to the fuzz tone! Since it is monophonic, the effect will be more pronounced when using the neck pickup and playing above the 12th fret.